Public spaces are essential to the social, economic, and environmental sustainability of communities. They are the shared resources such as parks and town centers that define a sense of place and where residents experience social interactions, explore nature, and purchase goods and services. The management decisions of these public spaces – made by public policy makers, private business owners, and residents – impact the wellbeing and livelihood of the community as a whole. In many cases, Indiana communities underestimate and inefficiently leverage the value of public space to the detriment of their quality of place. Quality of place, in turn, is a significant factor in community and economic development outcomes that are critical for community vitality and sustainability. The Indiana-based curriculum is designed for use by decision makers and local leaders who oversee community public spaces (e.g., parks boards, plan commission members, executive leadership, non-profit organizations). 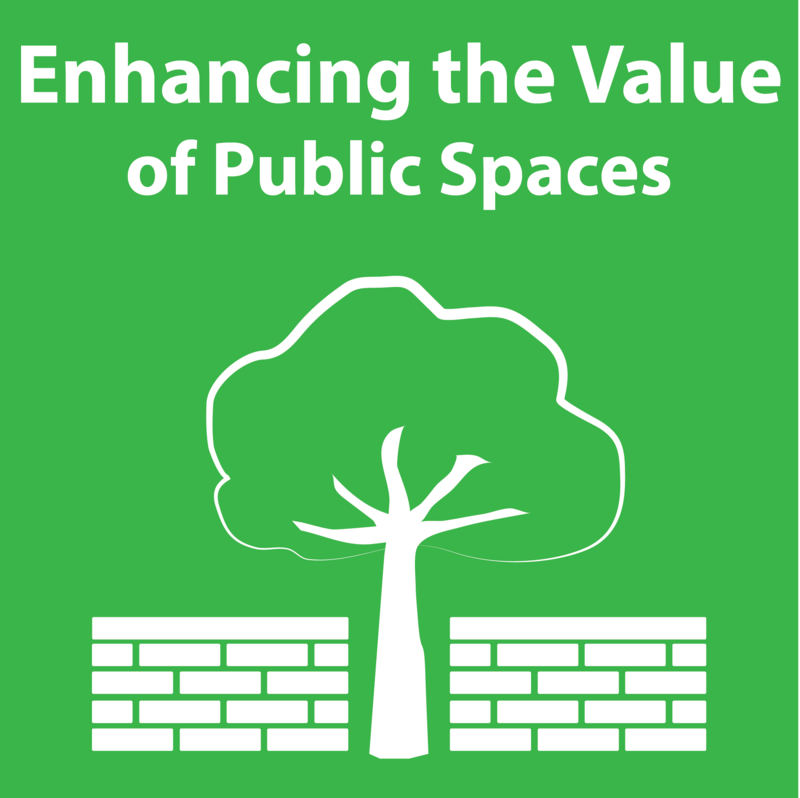 The Enhancing the Value of Pulic Spaces program combines data collection and analysis with inclusive public deliberation to guide the design of a high-quality action plan that can result in sustainable and impactful improvements for public spaces, private investment, and ultimately, an enhanced quality of life for Indiana residents. Underpinning the EVPS program is the unique 110 page, externally peer reviewed curriculum and companion 116-page facilitation guide that outlines the community capitals framework and the appreciative inquiry process to demonstrate how high quality public spaces improve a community’s quality of place and create a comprehensive action plan. The Enhancing the Value of Public Spaces program consists of three components including 1) the Indiana-based curriculum, 2) Community Workshop forum to bring together key stakeholders and decision makers to provide input into crafting the high quality action plan and 3) Working group meetings facilitated by Purdue Extension to provide the technical assistance needed to complete a high quality action plan. The facilitation process can take approximately 15 – 20 hours over the course of three to six months. In 2016, EVPS was conducted in seven communities with 335 participants. Team members were additionally invited to present in three public venues and one conference. The deployment of the program continues to be a team-oriented effort with a minimum of three Purdue facilitators and two or three local hosts collaborating with stakeholder groups to develop a public spaces action plan. To increase program capacity and future expansion, a train the trainer program occurred in May 2016 for 30 Extension educators representing the program areas of Community Development, Ag and Natural Resources, and Health and Human Sciences. From 2015-2016, Enhancing the Value of Public Spaces (EVPS) fully transitioned to a Community Development Signature Program. As a result, the new Community Development website features EVPS resources and information as part of the quality places thematic area. Purdue Extension Community Development Quality Places – Enhancing the Value of Public Spaces: www.cdext.purdue.edu/signature-programs/quality-places/enhancing-the-value-of-public-spaces. Participating communities are successfully completing public spaces action plans for use with diverse efforts. The West Lafayette Parks and Recreation Department (pop. 45,550) collaborated with the EVPS team to launch their yearlong parks and recreation master plan update. Several EVPS techniques were used for public participation and input sessions. The team led two community visioning sessions and crafted a user feedback survey to collect suggestions on facilities, services and future efforts. The feedback survey was available online and in paper at public offices. It was distributed through multiple online formats and was featured in local news articles. The survey garnered over 1,000 responses, which were analyzed and presented to city council members, parks board members and in two public feedback forums. A 109 page final public input report was prepared and submitted to the parks board for use with the consulting group to finalize the master plan update. EVPS again collaborated with the City of Kokomo (pop. 57,995) to support their citywide Comprehensive Plan update. A one-day working group visioning and feedback session resulted in park and recreation strategies that were included in the Comprehensive Plan update. Three additional communities began their EVPS planning processes in 2016. Washington (pop. 11,887) convened a diverse working group to focus on complete streets, walkability and greenway trails through the city. The working group is in the final stages of completing their high quality action plan and is finalizing the selection of an engineering team to implement the first stages of their plan in collaboration with an existing bridge renovation. The Bartholomew County Parks and Recreation Board, serving a population of 79,587, focused EVPS efforts to plan for a county park and Department of Natural Resources Nature Preserve, Anderson Falls. The board, residents, and stakeholders convened for the planning meetings desired to promote stewardship, conservation, security, and access to this unique property. The committee is in the final stages to complete their high quality action plan. Decatur County (pop. 26,277) recently acquired a former Department of Natural Resources reservoir property and is in the early stages of developing a management and site plan. The EVPS team coached their committee on site appropriate management techniques and action plan development. The committee will complete their action plan in early 2017 and will begin site improvements with the goal of opening the new county park for public access. Additionally, EVPS continues to be included as one of the key program offerings of the Hometown Collaboration Initiative (HCI, funded by the Indiana Office of Community and Rural Affairs and a team effort with Ball State University). As part of the HCI program, Perry County (pop. 19,558) successfully completed all HCI and EVPS sessions, completed an action plan and launched a new virtual public space, Pick Perry http://www.pickperry.com, over the course of a year and a half. This effort featured a new collaboration between the Convention and Visitors Bureau, the Tell City mayor’s office and the Chamber of Commerce with input and guidance from multiple county-wide stakeholder groups. Program participants in Lebanon (pop. 15,781) have also completed the HCI and EVPS sessions and are working towards public art installations throughout their downtown to enhance quality of life, feature downtown businesses, and activate public space. Furthermore, participant feedback surveys are providing important guidance in the continual implementation of EVPS. Participants indicate the workshops provide useful knowledge and tools to make decisions and take direct action for public spaces projects. Additionally, all respondents would recommend the program to others and reported the intention to take action within twelve months of participating in the program. These responses are reinforced by the number of successfully implemented projects, action plans that are close to completion, and new communities interested in program participation. Feedback responses highlight how EVPS is providing residents with a forum to provide input and engagement in the future planning and management of community public spaces while uncovering new ways of thinking about local assets and public spaces.